Success can be defined as how well you live your life. Are you living well and maximizing each of life’s moments? Or would your friends describe you as a “Last Minute Lucy” or “Scattered”? There are certain events throughout the year that you will automatically experience. I want to encourage you to engage now to create the success that you desire. Planning ahead with scheduling and reminders will allow you to create a more deep and meaningful life with a really small tweak. Being engaged in the important areas of life requires us to identify which areas are important. My practice is based upon research that individuals who are deemed successful primarily excel in three primary areas. We believe that truly successful people are Relationally Rich, Physically Fit and Financially Free. This requires Being Intentional in these areas. My desire for The Live The Life You Can Afford To Live is to bring you insight that will assist in creating the success that each of us desires. However, living that life can’t be unreasonable ideas which are out of the realms of anyone’s budget. Today, I want to focus on an easy way, which fits within anyone’s budget, to Be Intentional by scheduling your successful moments. Planning ahead will allow you to be more prepared and present in life’s big moments. Let’s begin with Being Relationally Rich. One of the primary ways to be Relationally Rich is to utilize Dr. Gary Chapmans, The 5 Love Languages to your advantage. Think about the people in your life and schedule ways to engage them. Advanced planning allows you to think about each person’s love language in order to maximize the experience. Here are some examples of ways to live out The Love Languages. Now get out your calendar and plan ahead for the important events of this year. Make plans 1 month in advance. Dinner reservations and flowers at a minimum. Waiting too late means a lame dinner at a lame place and grocery store flowers. Total Fail! Practically speaking this is supposed to be a constant. For my family I want Sunday’s to be a no brainer, it’s just what we do (ideally no scheduling needed) In addition to Sunday’s make plans to attend/join a small group or special retreats that occur throughout the year. Mothers Day, Fathers Day, Easter. Planning ahead will make these times less stressful and more relationally fulfilling. Time allows you to customize the experience. Plan now to make these days special. Focus on the love language that drives the particular individual, not what you want for them. Plan now. Whether it is a trip, dinner plans or a gift that you make; start early. Below we will discuss making transfers or payments over time towards these moments so that your budget doesn’t impede you from being the husband/wife that you desire. Planning ahead will make you the hero! Place reminders in your calendar now with alerts. Maybe it doesn’t seem romantic, but it is better than getting busy and complacent. Make the plans with someone else and it is more likely to happen. Sign up for a road race or competition to inspire you. Place Quarterly reminders to change your air filters. Schedule reminders to begin taking Airborne a week prior to any major events or seasonal temperature changes. Airborne Which is a super vitamin jolt that will help your immune system fight illness. Thus, keeping you feeling great year round for more success at life’s important moments. Be proactive and schedule your medical care. Whether it’s physicals, mammograms, chiropractic adjustments or massage therapy put them on the calendar to make them happen. Good financial habits over time lead to financial success. Working to automate many of the decisions as possible is important. Let’s make the decision now to do the right things with our money. Schedule or automate transferring money after each payday. Whether making advance payments towards future obligations or simply automating savings will lead to success. Schedule now quarterly meetings with your advisors; Financial Planner, Accountant, Insurance Agents etc. Consistently reviewing your financial model be beneficial to monitor progress and stay on track. Place important tax dates (Qtrly) when taxes may be due in your calendar. Automate payments for those essential items. Payments to your mortgages, insurances or loans etc. You WILL make these payments so automate them to occur. This frees you to be more intentional in the other areas of life. 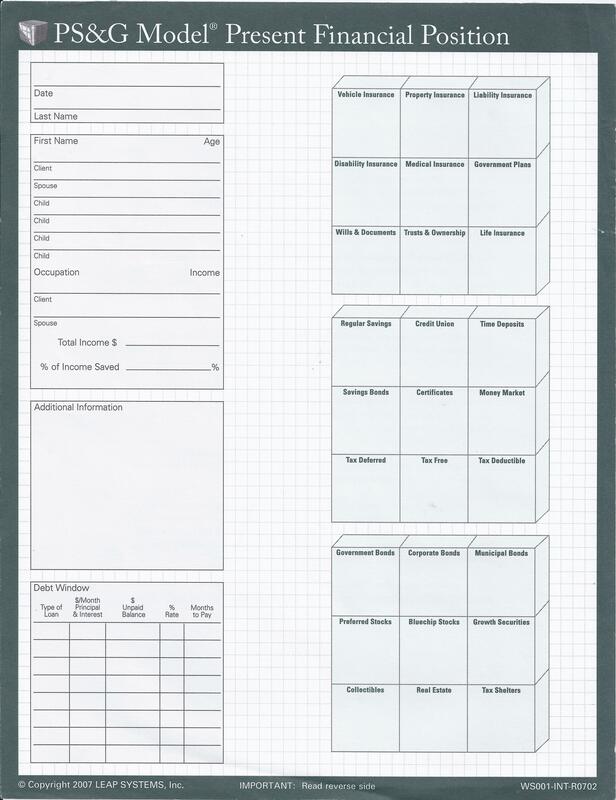 Automate items such as paper towels, toilet paper, soap etc to be delivered throughout the year. It’s a small thing but it frees you to pay attention to other more important areas and you will save money in the process. Consider Amazon Prime to have these items delivered as scheduled. Automate or schedule your times of giving or volunteering. Life gets busy and money and time get short. One of the major parts of living a successful life for me is living with an open hand. To whom much is given much is required. Make the plans now. The examples above are products of my prior misses or call it what it really is….. failures. Learn from my mistakes and plan ahead for these times in life that you will participate in one way or the other. Planning ahead for them will allow you to have more enjoyment while alleviating stress and disappointment. 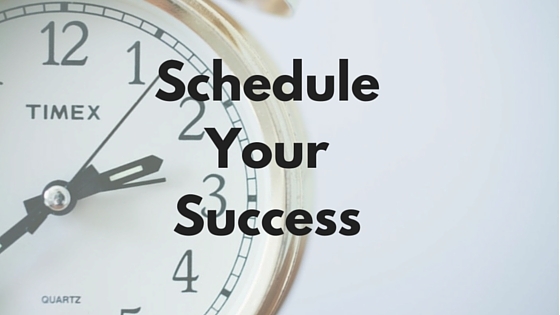 Being Intentional with your schedule now will raise your chances for success. Do you believe that scheduling some of these events will help them to be more enjoyable? Do you have any practical tips that have helped you to be successful? Please continue the conversation with me on Facebook, twitter or LinkedIn.